Before you can start collecting ACH payments, you will first need to verify your client's bank account using their bank's routing number, their account name, and account number. This is to ensure that their bank details are valid hence, avoiding hassles during the collection process. Note: ACH Verification only applies to users based in the United States. How does the ACH Verification Process work? Manual verification via a micro deposit transaction process. If your client signs into their bank online using the select account with internet banking: their account will be instantly verified, and any scheduled payments will be available to be processed immediately. If your client enters their account name, number and routing number manually during proposal acceptance: they will enter into the micro-deposit verification process, which they will complete (see below). 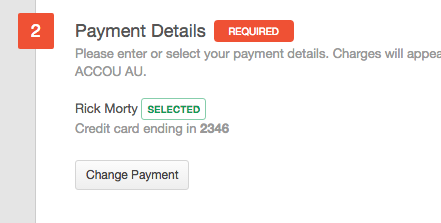 Scheduled payments cannot be processed until verification is complete. If you enter your client's account name number and routing number manually, directly inside Practice Ignition (either before or after proposal acceptance): you will enter the micro-deposit verification process and will complete it on behalf of your client. Scheduled payments cannot be processed until verification is complete. 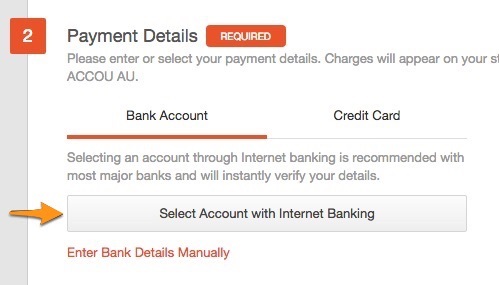 On the Payment Details section of the acceptance page, the client will choose "Select Account with Internet Banking"
Once they've successfully logged in and chosen their bank account, they'll be redirected back to the acceptance page displaying and selecting their bank account as your payment method. At this point, their account is now verified. When the client's bank account details are entered into the system, our payment provider checks if all the information provided is valid. They do this by putting 2 micro deposit amounts (less than $1) into the client's bank account which needs to be confirmed by your client. An email will be sent directly to your client along with the 2 micro deposits. This email will contain instructions on how to complete the verification process with the link to the form where your client can enter and confirm the 2 micro deposit amounts. The email should arrive along with the deposits 48 hours after the bank account details have been entered into the system..
Once the 2 micro deposit amounts have been confirmed, the bank account is verified and ACH payments can now be collected. The bank account only needs to be verified once. 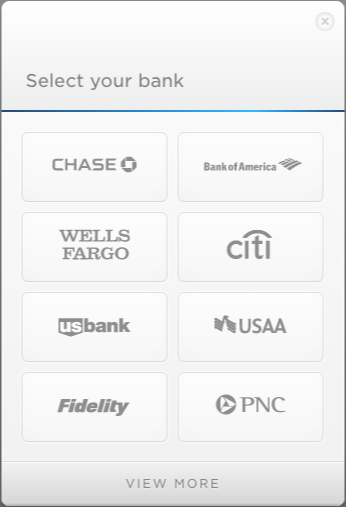 A re-verification only happens when the bank details are changed. Note: The reason why it takes about 48 hours to receive the email is because we send it on the same day the micro deposits are reflected on the client's bank statement. This is to give the deposits time to clear on the client's bank account. In this scenario, the process is exactly the same as the manual verification process above, however, if the details are entered by a PI user from within the app, the ACH Verification Request is sent to you, specifically, the Company Email Address (See Settings > Company tab) with the Principal User's email as fallback. It's important to take note that when checking for the micro deposits, relying on bank feeds is not recommended (or advisable). Bank verification is to be done using their bank statement / online banking data instead. You can always forward the verificaiton email to your client to complete the process, if you don't have access to this data to confirm the deposits yourself. Click here to know more about Managing Your Client's Payment Details.